Underworks is more than just a clothing manufacturer - we offer top-of-the-line solutions to people looking to improve their quality of life. Our collection of compression clothing and shapewear for women and men can help you tackle body issues, whether they are aesthetic or medical in nature, allowing you to present the best possible version of yourself. That is because we spend a lot of time creating these solutions. For example, some of our garments were developed to provide a lean shape at the core, while others are designed to bring relief to those dealing with back pain, hernias, and other uncomfortable health problems. We provide only the highest quality products, from the threads we use to the fabrics we choose. Underworks insists on the tightest stitches on every seam, which has made us one of the world’s best outfitter for compression garments. Our dedication to selling the world’s finest shapewear is matched only by our dedication to outstanding customer service. For questions about any of our products, customers in the United States and Canada can call us at 1-800-242-422, and international customers can contact us at 011-305-668-5151. Or, send an email to care@underworks.com for customer support at any time, day or night. We look forward to giving you the look good and feel good clothing you need to reshape your life. 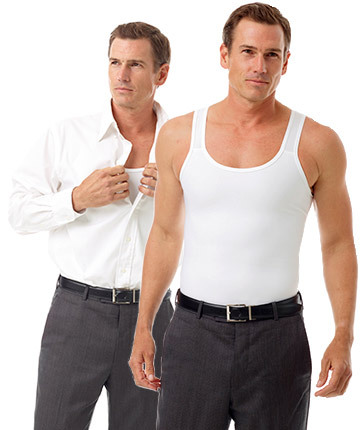 See what our Zip-n-Trim garments could possibly do for you! Get a Flat Tummy Without Surgery Intantly! Look Better in Your Clothes! Some of today’s clothing is made to be slimmer and more contoured to fit the body’s natural lines. Underworks’ shapewear and compression clothing can help you look and feel your best as you seamlessly fit into your clothes. Perfect for traveling, Menstrual days, Hospital stays, SPA visits, Camping and Workout. Wear and discard. Tavel light - Take these on your next trip! Is it that time of the month? wear these! 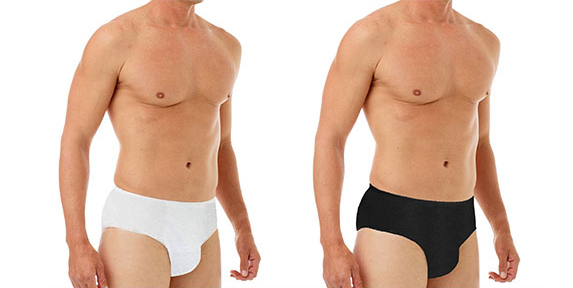 Since its founding more than 20 years ago, Underworks has been a pioneer in making men and women look and feel their best with the world’s highest-quality shapewear and compression clothing. Over the years, Underworks’ dedication to excellence has earned recognition around the world, including coverage in The Wall Street Journal, ABC's Good Morning America, MSN, and The Sun (UK). Meanwhile, our top of the line materials and attention to detail have built a loyal base of repeat customers. Underworks works tirelessly to place seams where they traditionally don’t go and create extra, yet invisible, layers for optimal support. Our level of craftsmanship simply cannot be found elsewhere. It is our mission to bring comfortable, affordable, and immaculately stitched garments to people of all genders and sizes around the globe. With over 100 models of fashion and medical products, Underworks is the world’s premier source for compression clothing and shapewear for men and women.